Any colour you want, sky blue and white included. Image by Reenya (via Shutterstock). 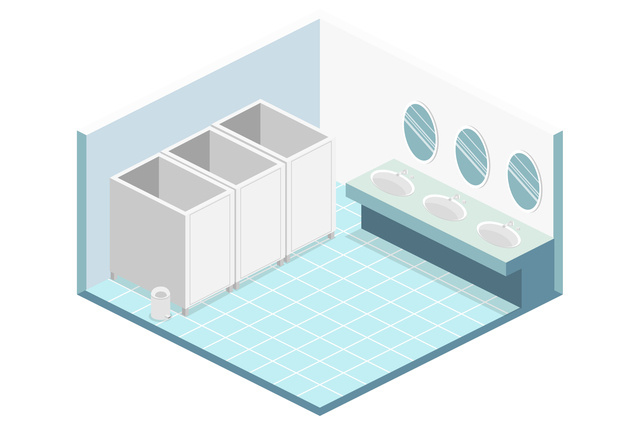 From the office to the superstore, or a mainline station, the state of your public toilets says a lot about your enterprise. If they are dirty, your visitors will complain. If they look outdated, they too will complain, whether doing a big shop or waiting for a train. The state of your toilet cubicles says a lot about your lavatories and your business. We at Theo’s Timber are able to create bespoke toilet cubicles for public buildings and commercial premises. Each of our cubicles are created using MDF and melamine. All our boards are pre-fitted with 2mm PVC edgings. Locks, legs and hinges are also fitted too for your convenience. They come in a variety of foil effects and colours. Our MDF is waterproof and designed to withstand the toughest of uses. From schools to motorway service areas, our bespoke toilet cubicles will add style to your lavatories. They can be fitted with ease within a day. If you have any queries, why not call us on 0161 834 6789? We will be delighted to hear from you and give you a free no-obligation quote. Theo’s Timber, 07 April 2017.